Don't let chronic pain define your life. Take control of your body, your life. 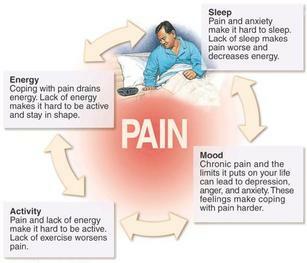 Today is the day to stop the cycle of chronic pain. Regular exercise can prevent your muscles from weakening, your joints from stiffening, and extra pounds from adding up -- a good thing considering that these can all exacerbate chronic pain. As a personal trainer who has battled chronic pain (read my story here) I can help you to find the right balance in your exercise program. For chronic pain management start with a Symmetry Postural Therapy session. From there we can work to address deviations and determine the best programming for your current fitness level. As someone who knows the ups and downs of chronic pain, I am confident we will find the right balance of physical activity to keep you moving and keep the pain at bay. Thank you so much for the exercise love! I feel wonderful, and so happy to be moving again!! - Teri F.